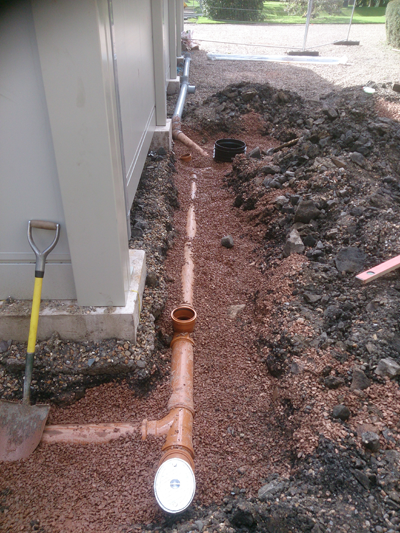 We offer a variety of drainage services; from a complete excavation to drainage repairs, we will help get the problem sorted quickly, efficiently, and for a reasonable price. If you have a problem with blocked drains, you want to be able to call the experts at any time - weekends, nights or early mornings. With 1A Alclean Drainage we are available to take your call 24 hours a day, 7 days a week and will always aim to be with you in the shortest possible time. We can cater for domestic and commercial customers’ drainage problems, helping to fix a blocked sink for a local resident or taking on a larger job at an industrial unit or restaurant. Whatever the problem, give 1A Alclean Drainage a call for a fast response. Our team are polite, courteous and will leave your property or grounds looking clean and tidy when the job is done. From waste pipes to mains drains, we will get the blockage cleared as quickly as we can. To speak to our friendly team, please call us today or send us an email through our Contact Us page and we’ll respond as soon as possible. We’ll give you a free quote and arrange a time to visit to get your drains fixed and flowing freely.